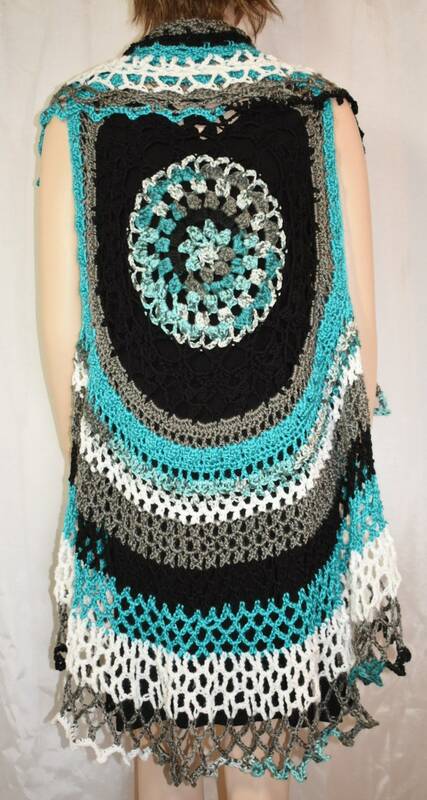 This mandala, hippie or circle vest or kimono is crochet in turquoise, black gray and white yarns. They are mostly Jacksonville Jaguars colors - for those who might be fans! 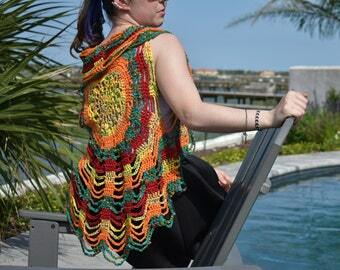 You'll make a statement when you wear this delightful vest to a festival, rave, concert, football game or other special event! It'll swing easily in a wide circle whenever you twirl to the music! 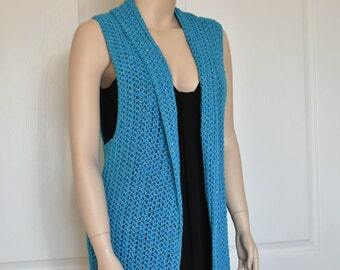 This vest has a generous fit due to the large arm holes and will fit a variety of bust sizes. It can be pinned in front with a shawl pin or even a large pony tail barrette (clever!). Misses / Ladies / Women's X- Large size (I'd suggest sizes 16 - 22). 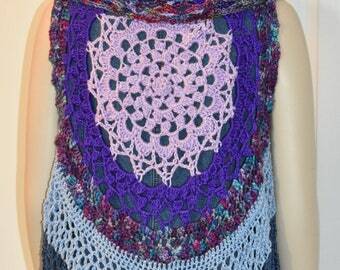 The mandala circle is 20" when measured flat across the back to the start of the arm holes. 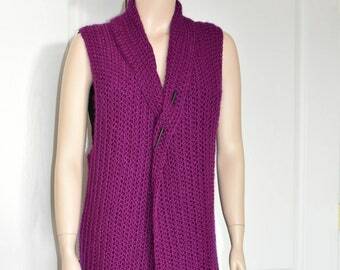 The vest is more than 48" around in total and flares to about 60" around the scalloped bottom edge. It's 42" long in the back from the neck to bottom edge. The collar folds 8 - 10 inches at the back of the neck, depending on how much you roll the top edge. I'd suggest washing in a lingerie bag on the delicate cycle and laying flat (in a circle) to dry. So so so pretty! And beautifully made. Colors are true to picture. Also came with a shawl stick. A definite score! 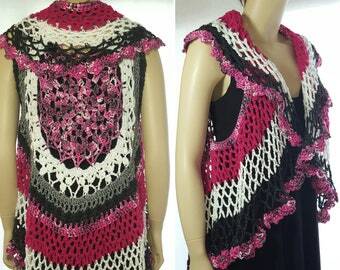 Love this magnificent poncho! The color is gorgeous and the size is perfect! A real keeper!! Payment by Paypal is preferred. Full refunds will be provided for CUSTOM ORDERS that are cancelled within 36 hours of the order being placed. For each 24 hour period after the 36 hour grace period, a 10% fee will be assessed (i.e., 48 hours equals 20%). Each handmade item is unique and requires special care. If for some reason you are not happy with your purchase, or it's been damaged in shipping, please contact me immediately and I will be happy to work with you toward a resolution. Returns will be accepted with PRIOR APPROVAL only. Once I've received the return in its original condition, it will be repaired, replaced, or a refund will be issued. Shipping charges will not be refunded. However, no additional shipping will be charged for repaired or replaced items. For custom orders that are found to be damaged upon arrival, the item(s) will be repaired or replaced. However, no refunds will be provided for custom items. All other refunds will be considered on a case by case basis. Returns MUST be shipped with delivery confirmation. Depending on the weight, I usually ship via USPS First Class or Priority Mail, using the most economical packaging. Most ready-to-ship items will be sent the day after payment is made and should arrive within 3-4 days. I will ship only to your Paypal address. Shipping within the United States is usually free. International shipping costs are provided with each listing. When purchasing multiple items, you'll be reimbursed for any excess shipping charges. 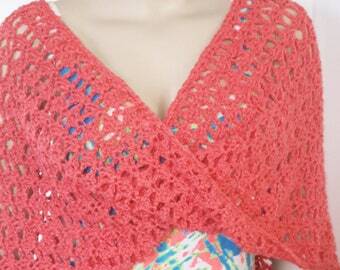 CUSTOM ORDERS for other sizes or colors are welcomed and encouraged. If the item is currently listed, the purchase price for the custom item usually will be the same as the listed item. Prices will be adjusted down for significantly smaller sizes and up for significantly larger sizes or more expensive yarn selections. I love to make multiple or duplicate items for special events such as weddings, proms, family reunions, or other special events. Just be sure to contact me far enough in advance of the event to allow for creation of the items. Depending on the item, they will each require between 3-5 days to create.